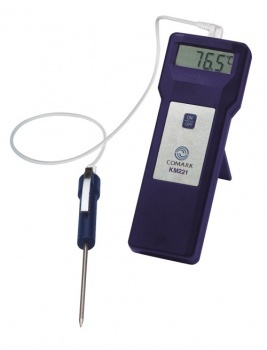 Comark KM221 Food Thermometer Comark is the leading manufacturer and supplier of a wide range of electronic measurement instruments for temperature, humidity and pressure. The KM221 thermometer has been specially designed for caterers who need to combine accuracy and reliability in temperature measurement with value for money. The KM221 has simple single button operation and is supplied with a peneratrion probe ready for instant use.